Abstract: Experimental and numerical investigations over the last two decades have demonstrated the effectiveness of strengthening existing reinforced concrete (RC) structures with externally bonded fibre-reinforced polymer (FRP) composites. As a result of such research, design guidelines have been developed around the world. Despite such advances, there are still knowledge gaps that are hindering the more widespread uptake of the technology by asset owners and contractors. This presentation will provide an overview of design guideline development to date in selected regions of the world, followed by the identification of key knowledge gaps. The identification of such gaps will help inform impactful future research projects and continued design guideline development. A case study will also be presented that will discuss the synergistic effects of industry demand and research interests for anchorage devices and their incorporation into design guidelines. Such devices are important as they can ensure a higher strain utilisation of the FRP material. The author is of the opinion that the true potential of FRP composites can be unlocked once we are able to rationally design anchorage devices. Abstract: Steel reinforced concrete (SRC) beams have been widely used in civil engineering, but it is a new topic for the behavior of SRC beams under high-cycle fatigue loading. This paper reports on fatigue behavior of SRC beams based on experimental and numerical investigation. Fatigue tests were carried out on H-steel reinforced concrete beams, pure H-steel beams and pure reinforcement bars respectively. Key issues are discussed on failure modes, failure sequences, crack initiation, crack propagation and stiffness of SRC beam. A comparison of fatigue behavior between H-steel component inside SRC beams and pure H-steel beam has been made. The key parameters influencing the fatigue strength of SRC beams are identified, including the steel ratio of H-steel components, the steel reinforcement ratio of components and stud shear connectors. The fatigue failure modes of H-steel inside SRC beams were the same as those displayed by pure H-steel beams, but the former had significantly higher fatigue strength than the latter. Fatigue design (in terms of stress range – fatigue life (S-N curves)) is recommended for fatigue assessment of welded H-steel components and reinforcement components inside SRC beams, respectively. ABAQUS software was utilized to perform numerical simulation which considers the crack propagation in the H-steel using fracture mechanics theory and the damage evolution of the reinforcement and concrete. The predicted fatigue life of SRC beams was in good agreement with experimental data. Biography of the Speaker: Lewei Tong was born in Shanghai, China in 1961. He is a professor in the Department of Structural Engineering, College of Civil Engineering, Tongji University in China. He obtained his Bachelor degree and Master degree in Mechanical Engineering from Shanghai Jiaotong University in 1983 and 1986 respectively, and Doctoral degree in Structural Engineering from Tongji University in 1995. He was a visiting professor in Department of Civil Engineering, Monash University in Australia from 2001 to 2002. 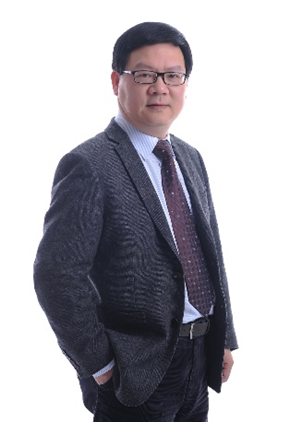 Prof. Tong was the head of Department of Structural Engineering, College of Civil Engineering, Tongji University from 2009 to 2016. Now he is the vice director of Structural Stability and Fatigue Branch, China Steel Construction Society, and the vice director of Engineering Structures Committee of Shanghai Civil Engineering Society. Abstract: Concrete-filled double skin steel tubular (CFDST) member consists of inner and outer steel tubes with concrete in-filled in the sandwiched cavity. It inherits advantages of the common concrete-filled steel tube, such as high resistance, high stiffness and good constructability. It also has some other characteristics, such as lighter self-weight and better fire performance. It is found that the inner tube can provide a sufficient support to the sandwiched concrete, and the steel-concrete-steel interfaces can work together effectively under various loading conditions. The concrete-filled double skin steel tubes may provide a better design option when designing members of large cross-sectional profile. Therefore they have been used in some engineering projects in China. This presentation introduces some research progresses on the CFDST structures, including the tensile and compressive behavior of the member, the life-cycle performance of the member, the evaluation of member performance after fire and the fatigue behavior of T-joint. 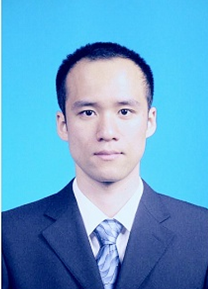 Biography of the Speaker: Dr Wei LI holds a PhD in structural engineering from Tsinghua University with distinction in 2011. His doctoral thesis on steel-concrete composite structures was granted as one of the 100-best doctoral theses (nominate) in China. He is now an associate professor of the Department of Civil Engineering in Tsinghua University. 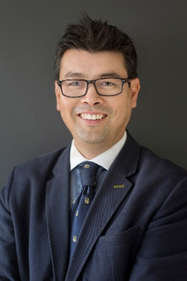 His current research topics are in the fields of steel-concrete composite structures, specifically in the performance of innovative steel-concrete composite structures under earthquake, fire, impact as well as the life-cycle performance of composite structures. He has gained several national scientific research funds in China, and has published more than 50 international journal and conference papers. He is the editor for the special issue of IStructE journal Structures and acting as reviewer for several international journals. He has been involved in several key projects in China, such as Z15 tower in Beijing (528m), Zhoushan 220kV transmission tower (370m) and Tianjin transportation center. He also participated in several Chinese specifications for steel-concrete composite structures. He is now giving courses on the structural design for fire safety.